Bertha and Alfred, married for twenty years, enjoy a truly science fictional life in the twenty-first century. 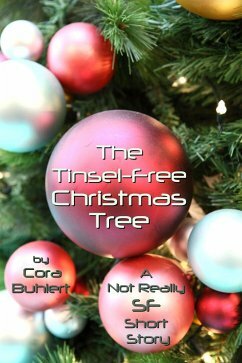 But in spite of all the technological marvels surrounding them, an argument about how to decorate the Christmas tree escalates and threatens their marriage. This parodistic piece is a mundane short story of 2900 words or approximately 12 print pages, written in the style of science fiction's "golden age" of the 1940s and 1950s.